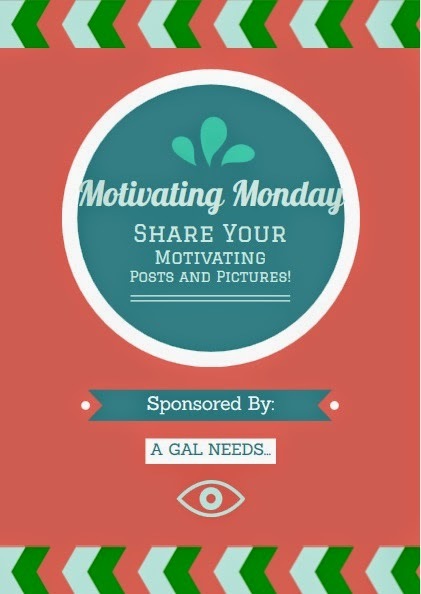 A GAL NEEDS...: Motivating Monday - Rants Welcome! Motivating Monday - Rants Welcome! We all need motivation! Did you find something that motivated you this past week? It could be a Tweet, Facebook Post or a blog post you like. OR maybe you wrote a blog post about something that gets you fired up, a rant, if you will! That technically counts as being motivated! I will definitely visit, comment, follow and promote! I may even visit your site and if I see something that motivates me, I'll link it up! Of course I'll let you know if I did! Everyone is invited to do the same!